A key look of our collection and a serious silhouette builder. 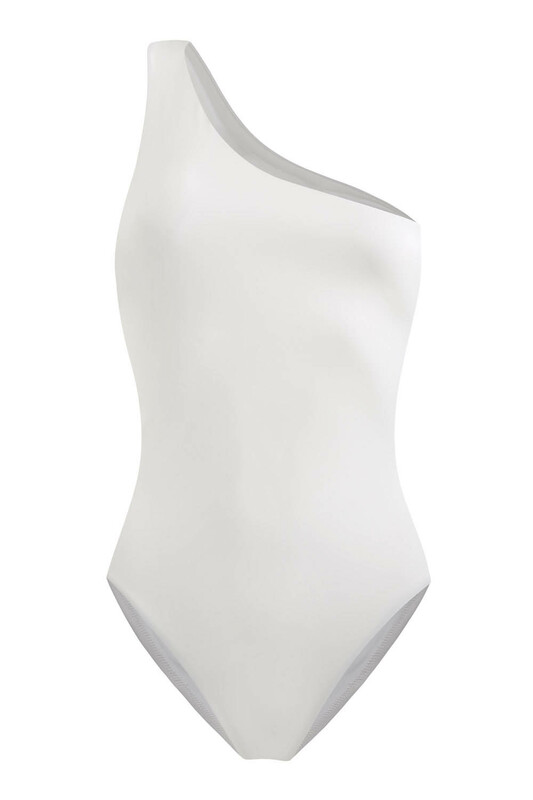 The front side of this stylish swimsuit is a smooth and elegant, one shoulder asymmetric look while the back has a flashy cut outs work for a graphic effect. Made in our eco recycled fabric, fully lined and seamless made for a second skin feel.